Read Buffermedia.ng news digest here: view the latest Buffermedia articles and content updates right away or get to their most visited pages. Buffermedia.ng is currently listed among low-traffic websites. It seems that Buffermedia content is notably popular in Nigeria. 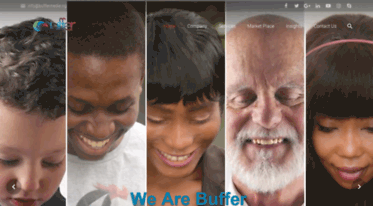 We haven’t detected security issues or inappropriate content on Buffermedia.ng and thus you can safely use it. Buffermedia.ng is hosted with Interserver, Inc (United States) and its basic language is English. Facebook has bowed to outrage by calling an end to a controversial experiment in which it deliberately blocked official news reports to members in six countries. Facebook continued to encroach into traditional LinkedIn territory with its test of a résumé feature.